BN: Aren’t patent protection strategies really for big companies with big patent portfolios? KS: Not at all. In fact the exact opposite is true. Large companies already have an established product, successes in a market, and a large patent portfolio to defend themselves. All of which provides momentum to protect the large company. On the other hand, a startup is still trying to carve its place in the world. It is developing a new product that could be easily stolen if not for the protection offered by the patent system. Further, the startup is trying to displace an existing market participant, or worse still, disrupt an entire industry with its product offering. The success of a startup puts it directly in the cross-hairs or large IP holders. LOT offers protection from costly PAE lawsuits during a very fragile time in its development. 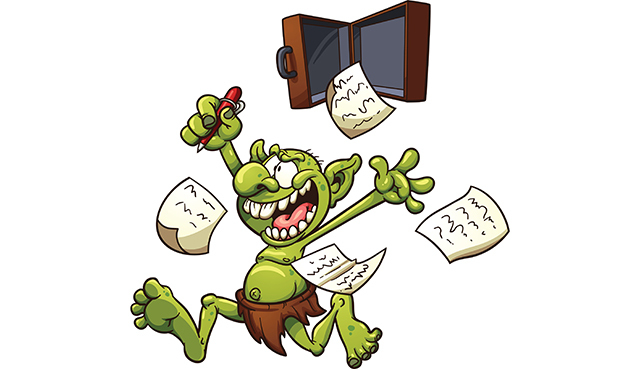 A patent troll suit costs on average over $1 million to defend. This is precious capital that the startup can’t spend on hiring, R+D, etc. (i.e. taking its product to market). Unfortunately, many entrepreneurs fall victim to a false sense of security, assuming they are too small or unknown to be on the radar. Or worse, wait until too far in the life cycle of the startup to develop is IP strategy. BN: Why wouldn’t a PAE (patent troll) be more likely to target a big company with deep pockets? KS: While large suits against household names make headlines, attacks against startups can do immense damage. In fact, more than 50 percent of the businesses targeted by patent assertion entities (PAEs) aka patent trolls, make less than $10 million in revenue per year and 75 percent of the companies sued by PAEs are privately held. Entrepreneurs are stretched thin, with priorities going to product development, staffing and countless other details needed to build a business, and this makes them vulnerable. Moreover, startups rarely have internal legal counsel and funds set aside for costly court battles; often, they settle even frivolous lawsuits because that seems to be the best, or only, option. BN: If PAEs are targeting startups, what can the startups do to protect themselves? KS: There are a number of strategies an organization can take, but being proactive early on can result in significant cost and time savings in the long run. Logical first step is to join a patent protection network. My non-profit, LOT Network, is one example. It is free for startups with up to $25M in annual revenues, and has members ranging from early stage startups to well-respected names like RedHat, Google, Tesla, Alibaba, eBay, Amazon, Lyft, RedHat, Netflix and Dropbox. With more than 1M patents in the network -- meaning, patents that cannot be used against you in a PAE lawsuit -- LOT provides both a community of like-minded companies, and extensive litigation protection. If and only if any of the member-owned patents fall into the hands of PAEs, every LOT Network member receives an automatic free license, preventing PAEs from asserting the assets against anyone else in the network. Meanwhile, members are still free to use their patents for traditional purposes, including selling them and using them for defensive purposes. There are additional organizations there such as Allied Security Trust, which provides collective patent buying, and Unified Patents, which also offer community-based solutions. BN: What types of startups are most at risk? Is it software companies or other types of businesses? KS: Given the convergence of technology, any business that is selling a high-tech product or uses technology in its manufacturing operations is at risk. Software is certainly an area of active litigation; as every industry has ultimately become integrated with technology -- websites, CRM tools, help desk and support platforms, and so on -- every company is a possible target. Moreover, companies can also have exposure to PAE litigation risk through their partners in the supply chain. For this reason, some of our members have encouraged their suppliers to protect themselves through our non-profit offering as well, which makes the entire ecosystem safer. Thus LOT makes sense for companies of all sizes regardless of industry. That is why you see so many retailers, automakers, software companies, consumer electronic manufacturers, chemical companies, and even airplane manufacturers in LOT. BN: What else can you do besides joining a patent protection network? What other patent protection tools should startups consider? KS: Seek safety in numbers. If you do get sued by a troll, find out which other companies are also embroiled in the lawsuit, and pool your resources to mount a joint defense. Talk to other companies who have been sued, and see if they have advice on how to minimize the collateral damage to your business. While being proactive early and joining an organization like LOT Network can help limit your risk of being sued, take advantage of the experiences of others to formulate a defensive strategy if it’s too late for preventative measures. Besides permanent immunization to over 1 million patents, LOT offers members a community in which a startup can network to develop business and legal relationships and share in this information.